OR £31.14 per week 0% APR ? The Chesterfield 1930's Classic Sofa. 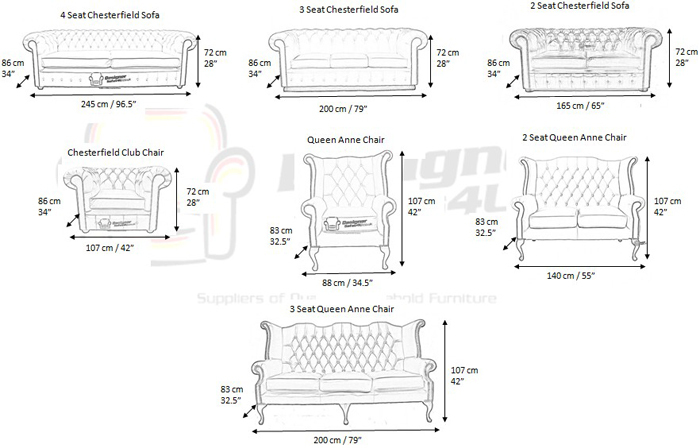 The Chesterfield Leather Sofa with it's unique Low Back Style, Smooth Leathered Arms and Back complemented with a Front Border. The Scroll Fronted arms on the Chesterfield Leather Sofa are attractively embellished with lines of individual stud nails. An undoubted winner in any room from the cottage to the boardroom. A classic of its kind ;Traditional Vintage British Style. Smells - This product will temporarily infuse the smell back into all items of leatherNEW: Reduces Fading - With added UV inhibitors the protection cream now also helps prevent the sun from fading the leather when it is in direct contact.